Can anyone tell me if the front differential and transfer case are the same thing on an awd model? Meaning that if I change the oil on the transfer case and rear differential then I’m covered or do I need to change those and the front differental? Can anyone tell me if the front differential and transfer case are the same thing on an awd model? Meaning that if I change the oil on the transfer case and rear differential then I*m covered or do I need to change those and the front differental? The front differential is internal to the transmission case and shares ATF. The transfer case is bolted to the transmission case and has it's own line supply. And of course the rear diff has it own supply. Last edited by Chris_Top_Her; 11-21-2018 at 11:58 PM. So if you get a transmission fluid flush, does that mean the front transfer case/front differential case has been changed as a result? Thanks. Last edited by bobbypols; 11-22-2018 at 12:11 AM. No. 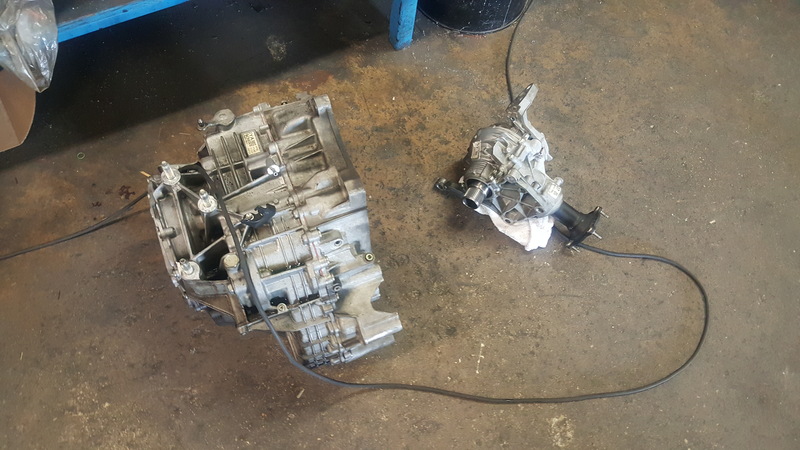 As pictured, the transfer case (right of bottom picture) and the transmission (left, contains differential) are two separate units. The differential is inside the transmission case, they are not sperate. 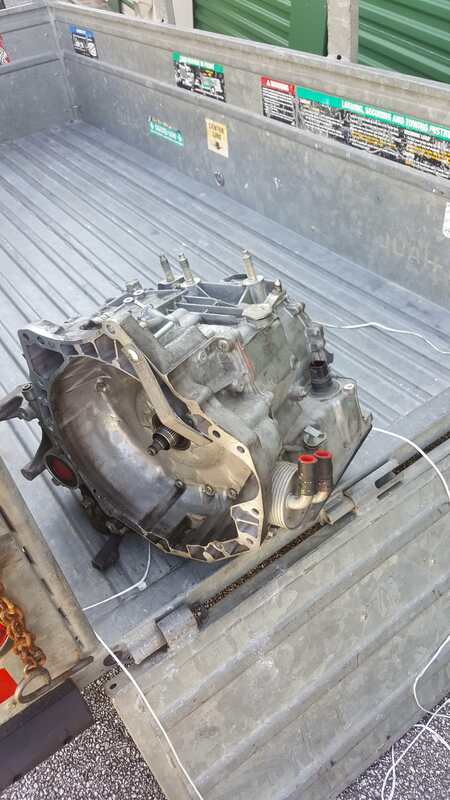 However, the transmission case, which INCLUDES the differential (allow different wheel speeds on the front) and the transfer case (the transfer case send power to the rear differential) ARE separate. Trans flush would also flush differential as they are in the same case. Highly doubtful anything is going on with the diff specifically otherwise you'd have issues when turning or even driving straight and probably tore up tires on the front. Probably a 4wd inspection warning too as the abs sensor would be seeing all sorts of wheel speed issues. Last edited by Chris_Top_Her; 11-22-2018 at 12:40 AM. Technically the automatic transmission in CX-5 is a “transaxle” unit which combines the functionality of the transmission and front differential into one integrated assembly. And ATF is used for lubrication for the entire transaxle unit. Front transfer case is piggybacked onto the transaxle and transfer the power to rear differential which has clutch pack to control the percentage of power to the rear axle. And you can’t “flush” CX-5’s transaxle as there’s no ATF lines to an external ATF cooler like others which are used to flush the old ATF. Drain-and-fill is the only way to change the ATF which replaces about ⅓ of the old fluid for each process. Undiagnosed differential failure leads to transfer case? Changed spark plugs, differential oil, and transfer case oil...WOW! !